Well helllooooo fellow bird nirds! It's a been a while since I've posted. My *day job* illustration work has been keeping me at bay, but I'm back and still up to my neck in warblers. 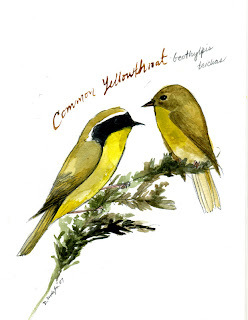 Are Common Yellowthroats really that common? Does having a name with "common" in it render you immune from extinction? Perhaps if New Zealand's Moa had been named the Common Moa, they'd still be lumbering the forests of that part of the world. Why "common" ? If I were a yellowthroat I'd be a little dismayed by that title. 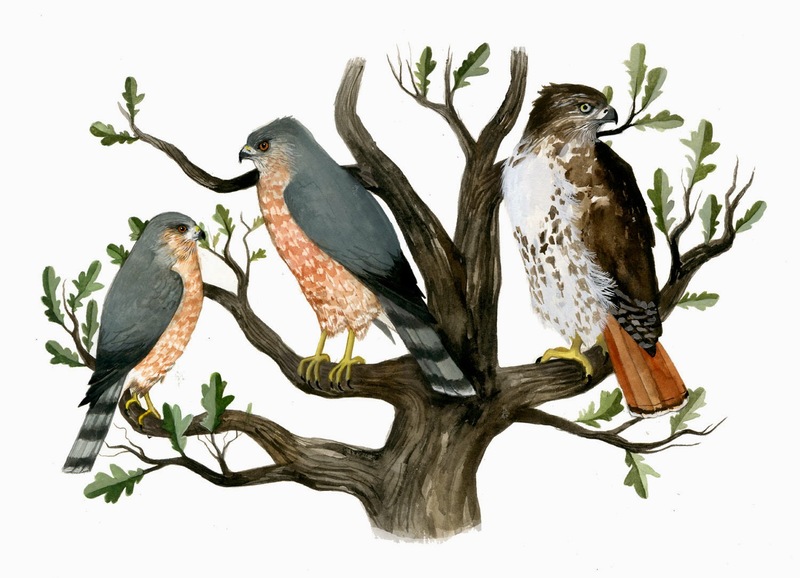 They're quite striking little birds, especially the males with their black bandito masks. I saw my first yellowthroat flitting about in a leatherleaf bog in the wilds of northern Illinois. I saw my second in my backyard this year. Happiness.